So this entry came in the form of someone I follow on Twitter. She’s a fellow Filipina who lives in the Bay Area and is also a Yelper like me. As some or all of you know, I love fountain pens. I love pen and paper. I love putting pen to paper. When I saw this over at Brownbugz’s blog, I knew right then and there I had to do it here, too! I can’t find my pretty stationary paper. I actually do use notebook paper, but it’s Clairefontaine notebooks. There is something so wonderful about that paper that makes my fountain pen and inks I use flow so gorgeously. It doesn’t hinder or hamper my writing in any way. That’s why I spend a fortune on the notebooks themselves – because I write a lot and I’ve got to have it done right. Anyway, check out my penmanship behind the jump! I was going to do a blue for Monday, but I thought…why not do a gold? 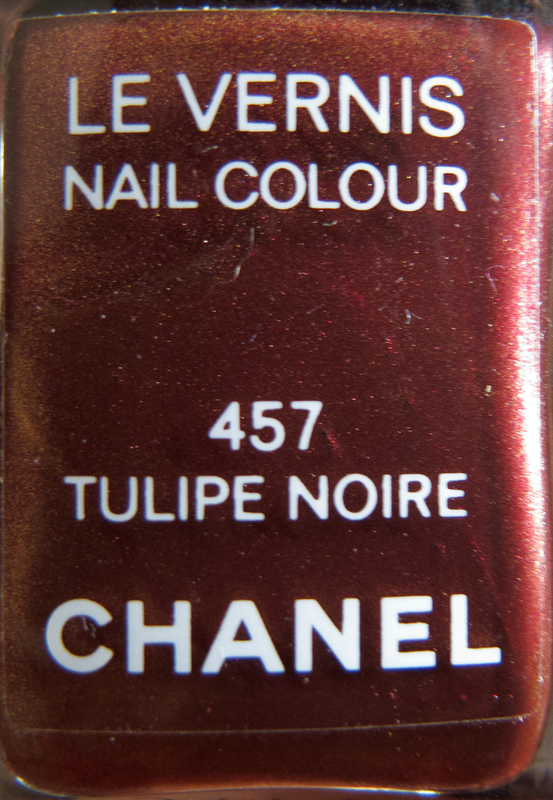 I was hunting for a blue in my 600+ nail polish stash, but came up gold! Plus, it’s a way to celebrate the win for my boy Colin Firth, too. I’ve had this insane crush on him ever since I saw Pride and Prejudice. He’s just that kind of awesome to me. Congrats, Colin Firth. It’s about f***ing time. This shade of red is gorgeous. I love it. 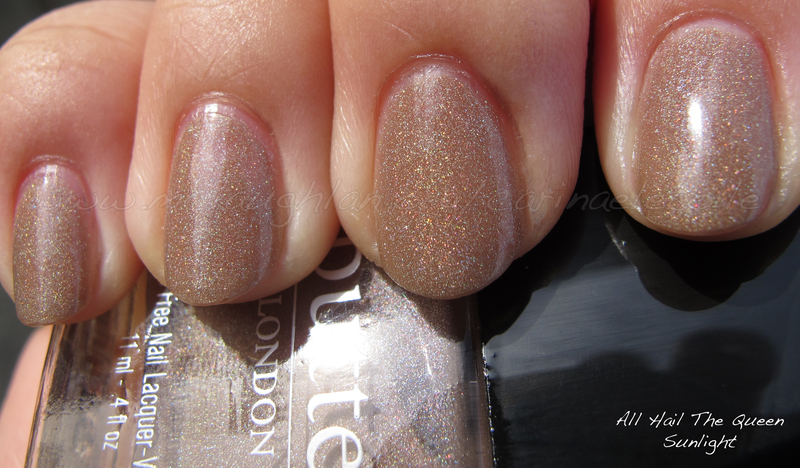 I dislike shimmers and anything that gets in the way of a gorgeous creme polish. However, this shade won me over. Friday Red will be incoming shortly, but for now I shall leave you with a picture I took a few moments ago before hitting the sack. It’s Dr Bombay, my adorable cross eyed, buck toothed kitteh. I didn’t get a shot of his crooked tail, but I will one day. This is, “Pleeze close da light and fill up my food bowl, k?” He’s hanging his head over the side of his kitty bed, kind of telling me what to do before I shut the door and let him sleep in his room for the night. I put the picture of him behind the jump. Hubby fixed my problem of being unable to attach pics to my posts…it was a plug-in that was the culprit. This is my ode to the Purple One. You know. Prince! He made an appearance here in the Bay Area. I didn’t go, but decided to do a purple comparison tribute just for him. 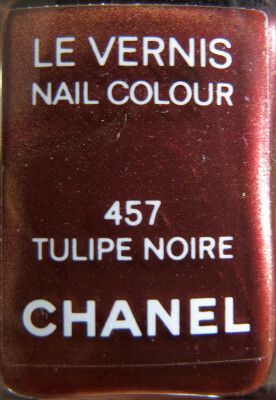 Originally part of their Fall 2010 collection, this was a gorgeous color I liked on other people. I was going to do a blue for a Monday post but for once it’s not grey outside. Nor is it raining. It’s sunny. It’s beautiful. I thought to celebrate it, I’d do a pretty shade of pink to welcome (hopefully) more spring-like weather. Friday Reds! Yes, I said reds. It’s plural. How so? Nail polish, lipstick AND eyeshadow? That’s how! Yup. This is one post that has it all…after the jump! I hope I don’t make your eyes don’t bleed.